Becoming a timeshare owner at a Villa del Palmar timeshare resort is more than just membership with one of Mexico’s longest standing timeshare companies, The Villagroup Timeshare, it is an investment in flexible vacations in the best beach destination in Mexico. Your timeshare club points can afford you accommodation in any of the timeshare resorts operated by the Villagroup in Cancun, Cabo San Lucas, Loreto and Puerto Vallarta. 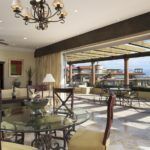 When you purchase timeshare club points at a Villa del Palmar timeshare resort you will be given the option of how many points to purchase which will therefore influence what kinds of suites you can use and how flexibly your timeshare points can work for you. The greater the number of timeshare points, the more flexibility you will be able to enjoy and the better your additional benefits will be. The old timeshare model was such that you bought a fixed or rotating week at a timeshare resort. When you wished to travel to other locations you had to swap your week through a vacation club for other destinations. Nowadays, the points scheme gives you the equivalent number of points for a week in your timeshare so that you can then use those points for shorter vacations rather than a full week, or upgrade to a more luxurious apartment for a shorter time and visa versa. Villa del Palmar timeshare club points are managed under the Villa Preferred Access scheme that works in the same way. You buy points equivalent to say a week in a luxury one bedroom suite at Villa del Palmar timeshare Cabo San Lucas and then use half of your points to stay fewer nights at Villa del Palmar timeshare Flamingos in a two bedroom suite. Likewise, you could stay in a Deluxe studio for longer than a week by downsizing your unit and extending your time. Another benefit of Villa del Palmar’s Villa Preferred Access scheme is that you can also borrow points so that you can achieve exactly what you want or save the points you don’t use one year. Finally, it is easy to exchange timeshare points through a vacation club so that you can travel to different destinations throughout the world, using your points to cover your accommodations. That way, you can secure the quality of your units are the same as you would expect at Villa del Palmar. For exchanges within the Villa del Palmar brand, Universal Vacation Club International administers any swaps you would like to make, while international exchanges can be administered by Interval International. 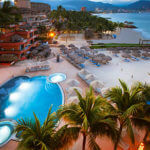 Share the post "Villa del Palmar Timeshare Club Points"